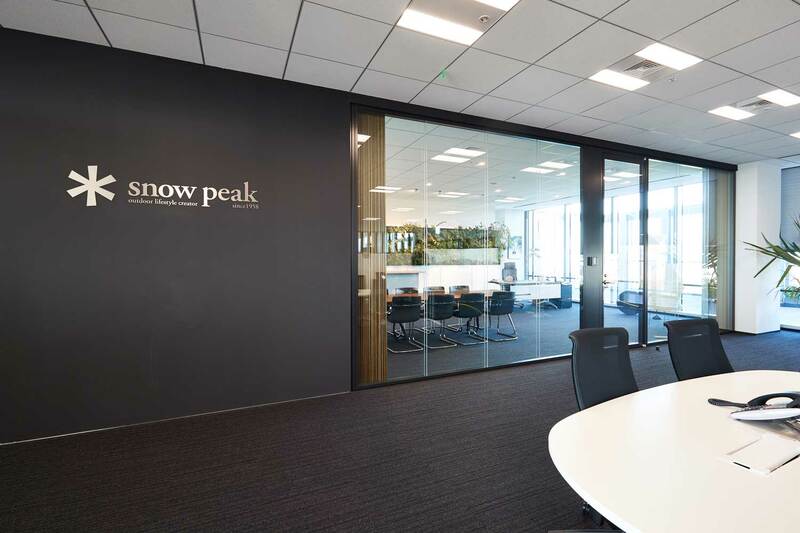 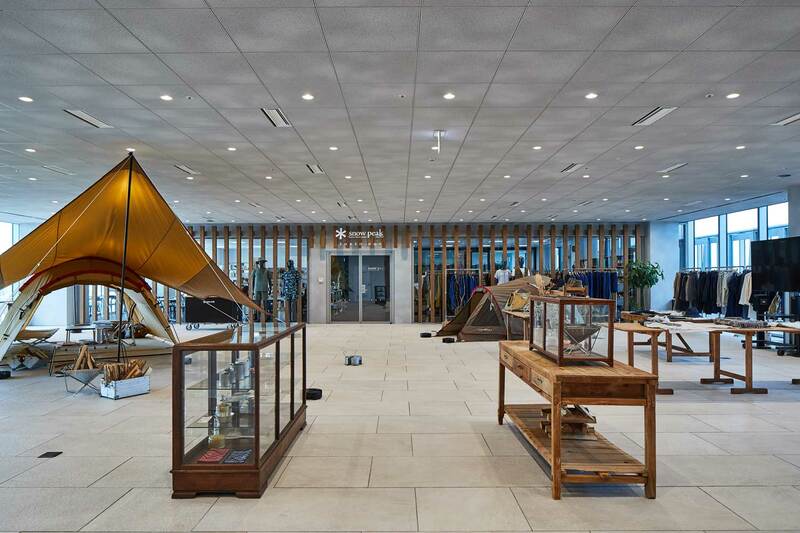 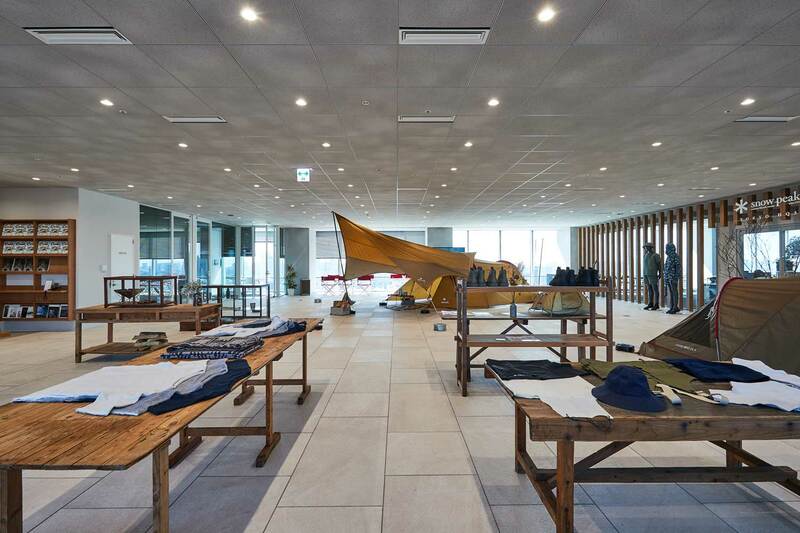 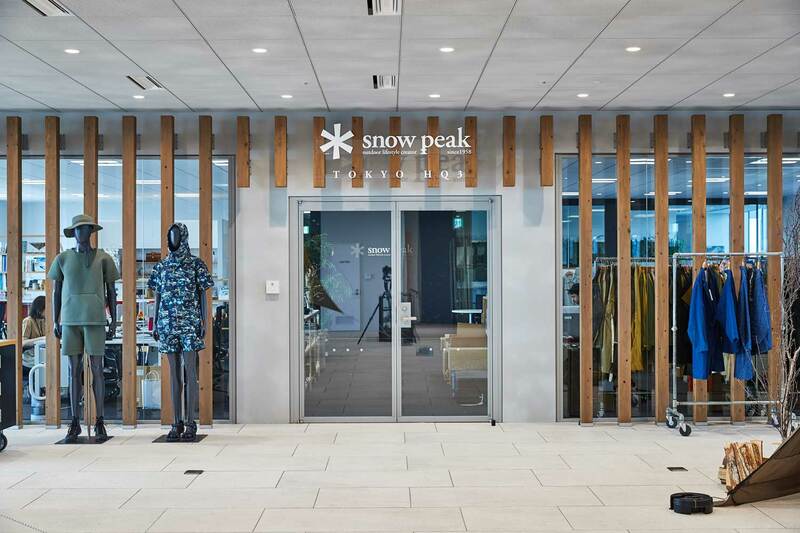 Since 2015 start with their Akishima shop, there has been eighteen stores of Snow Peak, the outdoor gear and apparel brand, that Leif.designpark has involved with the shop design. 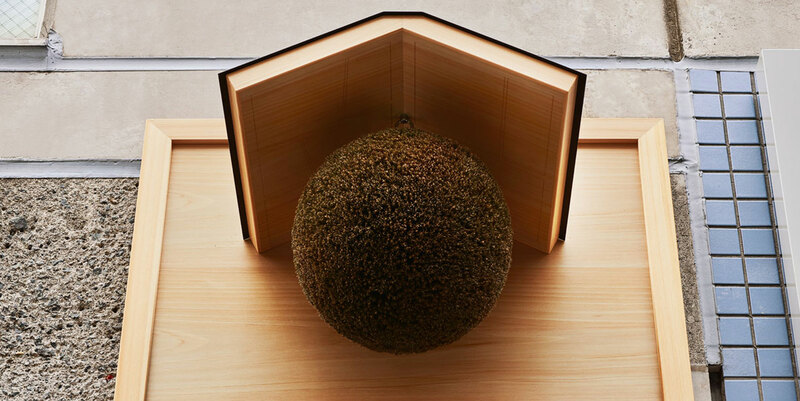 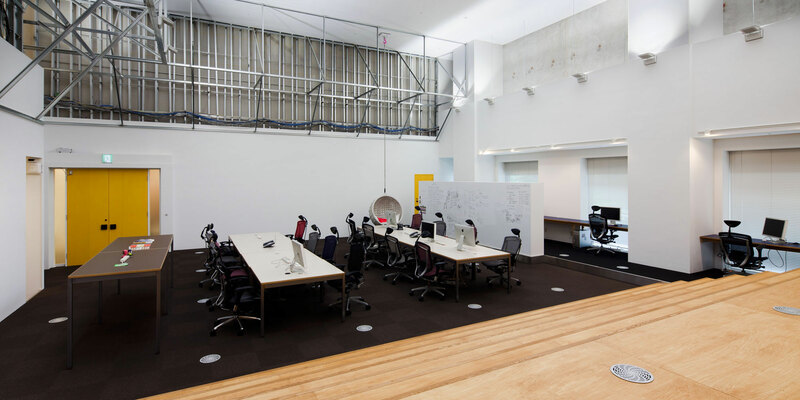 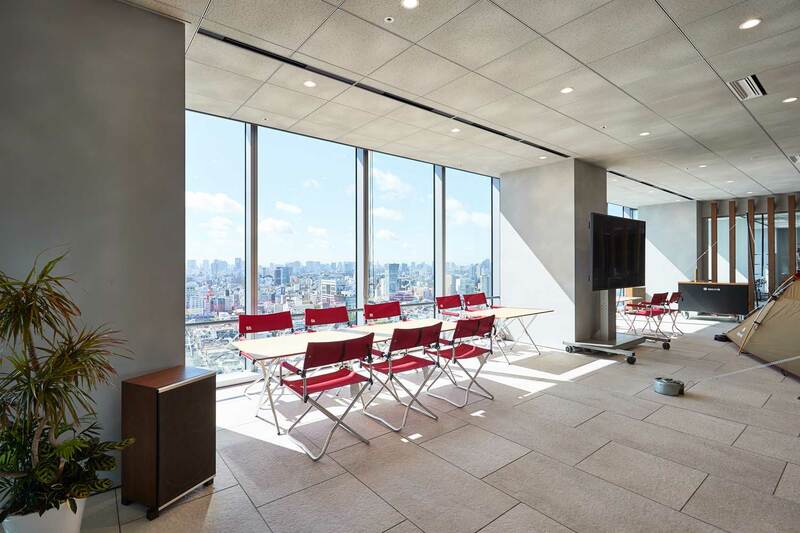 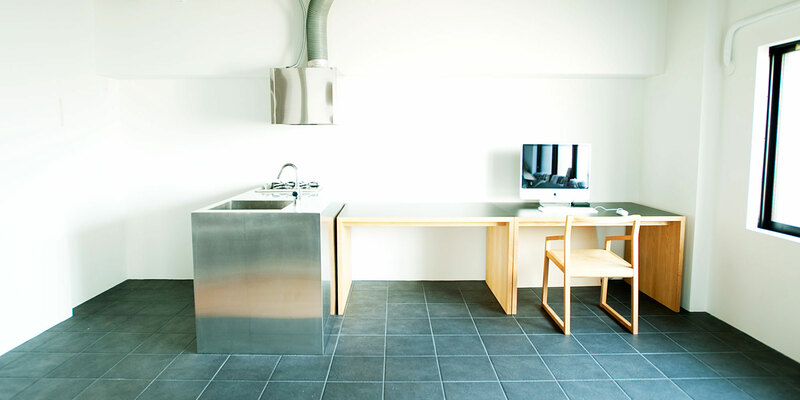 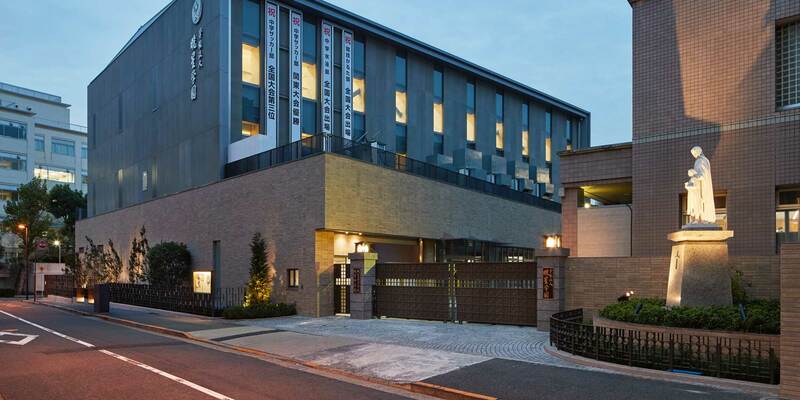 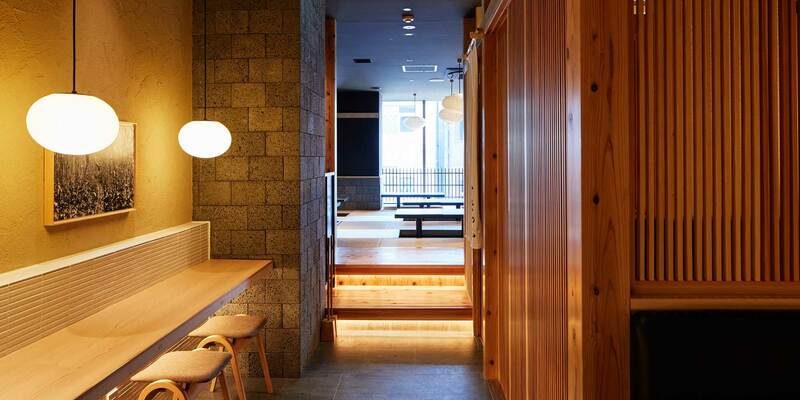 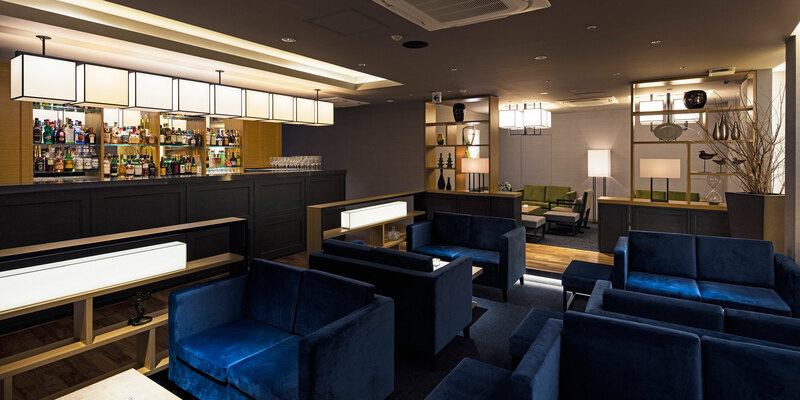 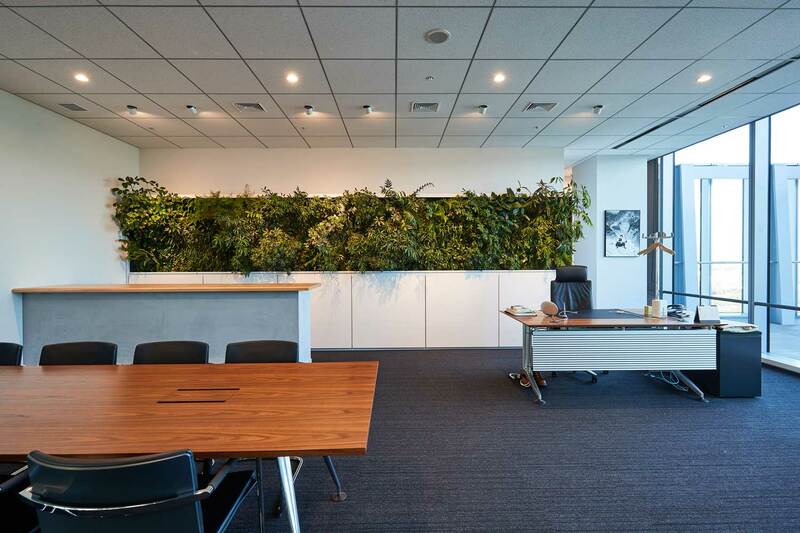 This time, we took charge of the interior design, custom-made furniture and furniture coordination of their Tokyo headquarters・HQ3, an office and showroom, likewise the past eighteen stores. 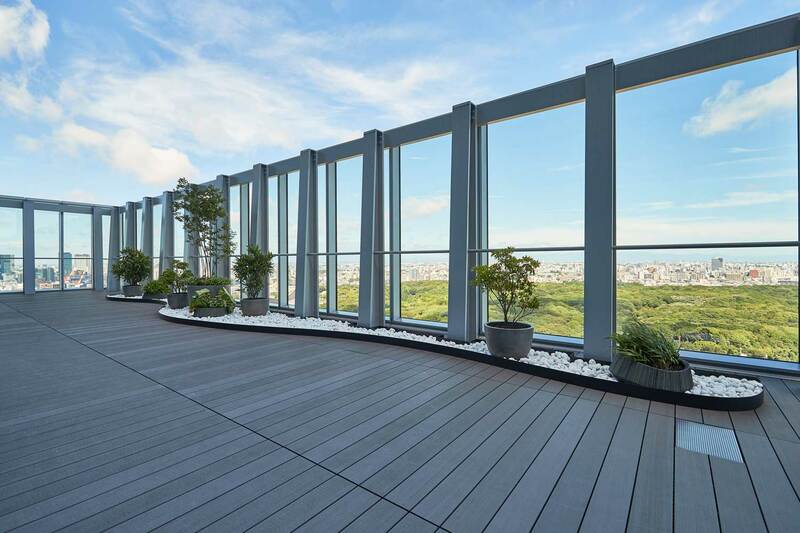 In spite of locating in the top floor of the twenty three stories high building, the floor is layed with stone-like thick exterior tiles to carry the comfort and massive feeling in which like standing on the ground. 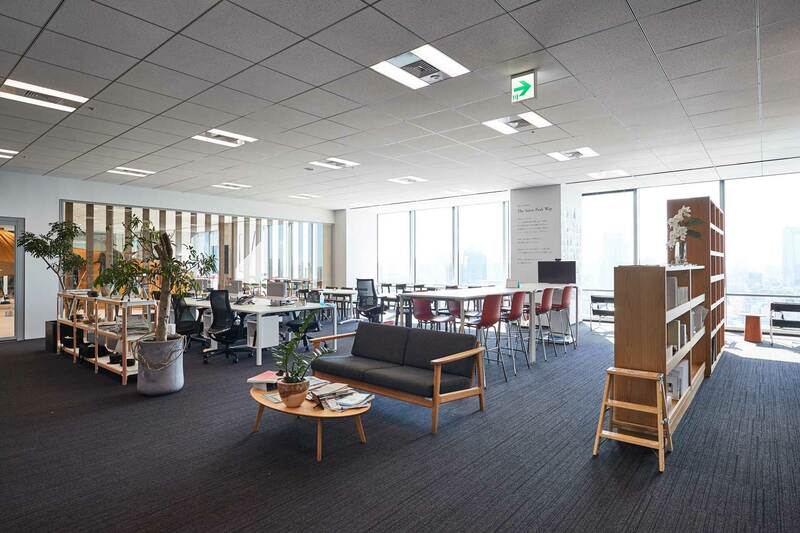 Furthermore, the tiles’ texture reflects and diffuses the natural light that comes from the expansive windows in the room. 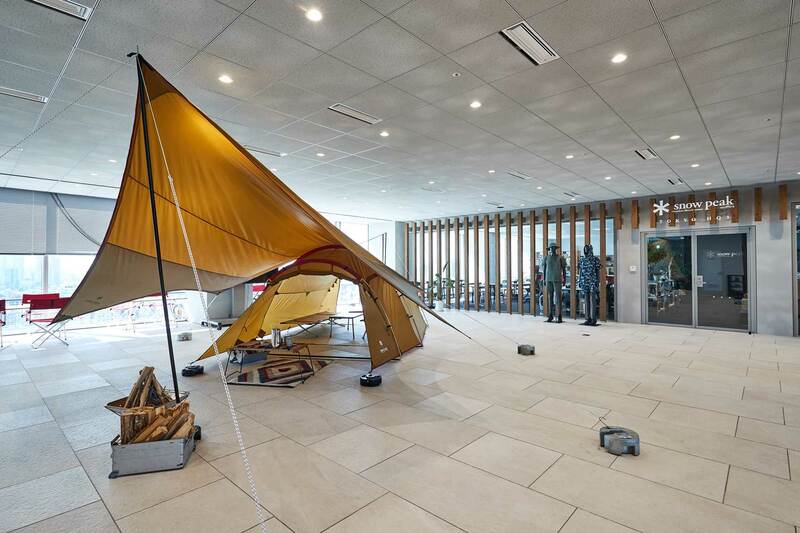 An indoor and outdoor, working, hiking..etc, we designed the space to give variety of senses and a refreshing feeling that is fitting for the outdoor brand. 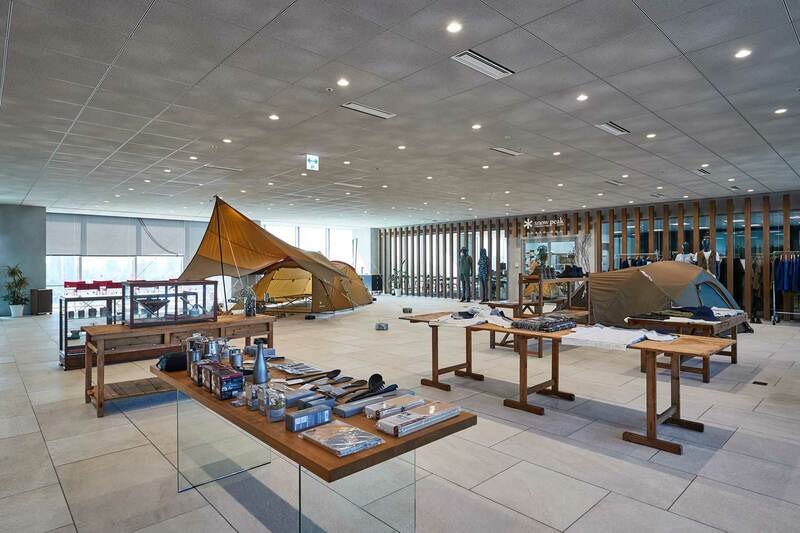 This place is open to the public.